Regular servicing of your seating enhances its longevity and lifetime value, but for retractable systems, an annual service is a legal requirement to maintain Health and Safety regulation compliance. Our skilled, friendly team can ensure your system remains safe for those who use and operate it, that it works every time and looks as good as the day it was installed. 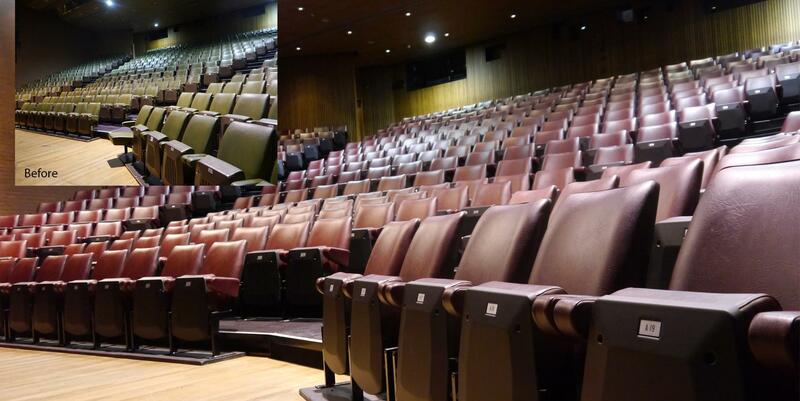 Provision and Use of Working Equipment (PUWER) Regulations require retractable seating to be maintained in efficient working order and in good repair, and to be regularly inspected. To ensure the safe and reliable operation of your seating and to prolong its lifetime value, we recommend a comprehensive manufacturer’s inspection once a year. This will not only give you peace of mind, it will also help you to obtain insurance and licenses, guard against liability claims, and keep your warranty up to date. Reliability. We’re happy when you are. We’re proud to offer outstanding service and solutions to our clients, large and small across the country. Our emergency call-out team work in venues throughout the UK, to ensure your system is performing to the best of its ability. We understand the tight schedules our customers work to and are able to provide an efficient, quick response, day or night to ensure time and money isn't lost should any issues arise. With many of our seating systems still in situ after 25 years, you’ll want it not just working beautifully, but looking tidy and contemporary too. We’re happy to help. Audience Systems’ service and spares team can help you to update or adapt your existing seating system to keep it feeling and functioning like new. We'll visit your venue and recommend a package which may include replacement of carpet, trims or fascias, replacement or reupholstery of the seating, or re-powder coating of the rails. We can add new accessories such as LED lighting or row numbering, or functionally upgrade your system - for example with power operation. We'll also make sure your retractable understructure is in the very best condition. “I just wanted to say thank you to your company for the maintenance service you did on our auditorium seating. Colin and Richard were brilliant, hard-working and knowledgeable in this area. Incredibly helpful to someone like me, who doesn’t know a great deal about seating mechanisms.